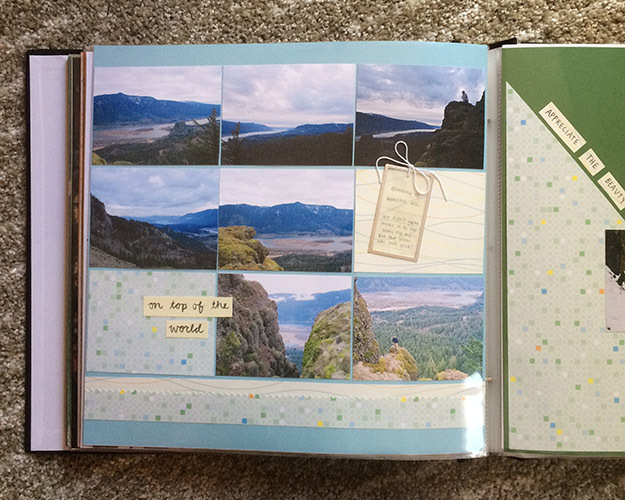 One of my summer goals is to catch up on my scrapbooking. 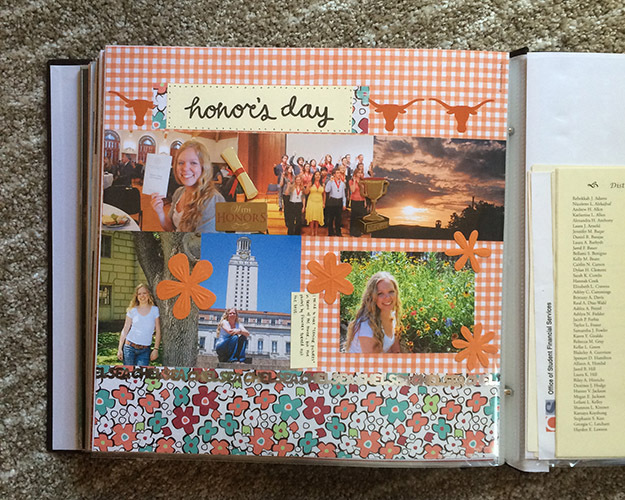 I love to scrapbook, but I got a little behind, which can be really overwhelming. 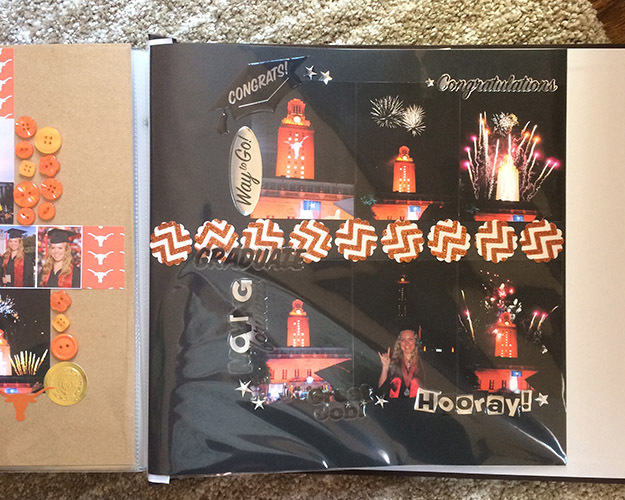 BUT, I finally finished up my college scrapbook! I did my best to not overthink anything or try to make it perfect. I just had fun using a lot of my hoarded supplies, and I’m pretty happy with the finished product. 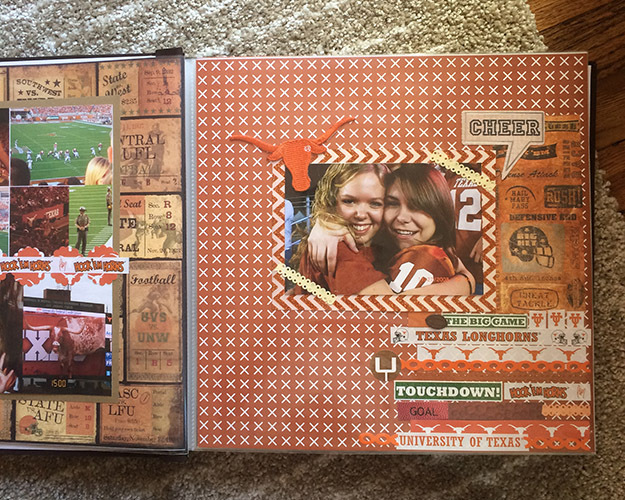 This entry was posted in Make and tagged art, Austin, college, craft, paper, scrapbook, scrapbooking, University of Texas on June 25, 2015 by Chelsea. We played tourists while we were in Houston last week. 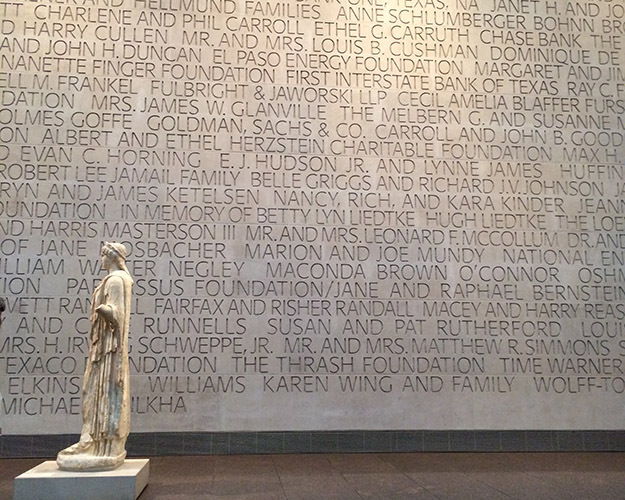 Our itinerary was thoughtfully arranged by Jon, and our first day included a trip to the art museum and bbq for lunch. 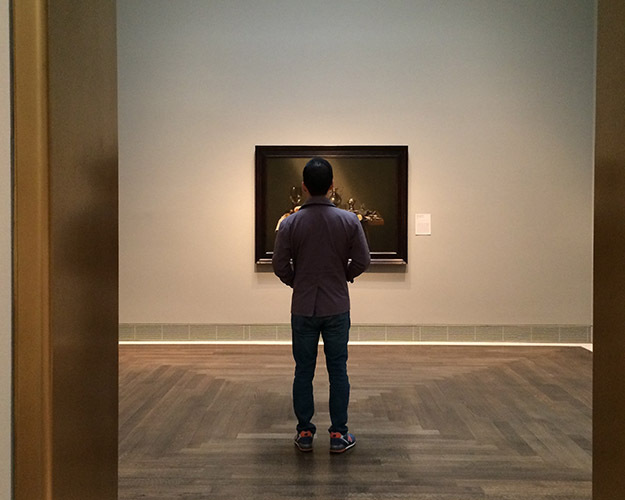 We saw tons of gold, lots of Korean art, and stole peeks at the Monet exhibit. 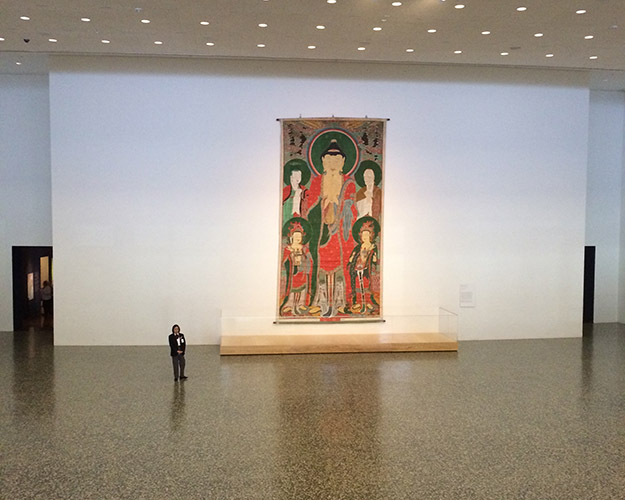 We had no idea there was a Korean exhibit! But I was thrilled to see all these pieces displayed in Jon’s exotic home country of Houston. The colors on these paintings is so spectacularly vibrant. Must have been good quality paint. We wondered a lot about where you buy those huge gold frames. And then I found my favorite work of art, and we had lunch together. 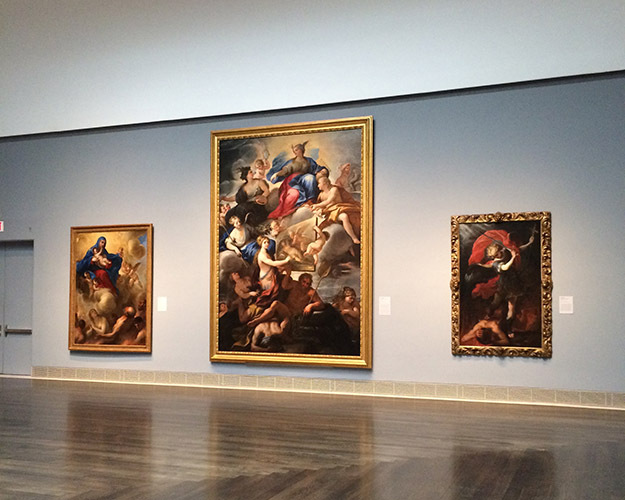 This entry was posted in Life and tagged art, art museum, houston, museum, museum of fine arts on December 2, 2014 by Chelsea. This past weekend we made a game-time decision to head down to the Renegade Craft Fair on Saturday afternoon to celebrate the girl’s half-birthday. There was one vendor there called Mod-Tops that was pretty awesome because they made tables and other types of furniture out of reclaimed wood and other products. The bike-table was the coolest one there I think. This entry was posted in Finds and tagged art, Bike, craft, Mod-Tops, Reclaimed Furniture, Renegade Craft Fair on May 20, 2013 by The guy. I had this old book when I was little. It was all about different kinds of rocks and minerals, and I would carry it around, and make notes about it, even though I couldn’t quite read yet. I came across these pictures the other day, and yup, rocks are still cool. This entry was posted in Finds and tagged art, gems, illustration, minerals, print, rocks, rocks and minerals, stones on April 9, 2013 by Chelsea. 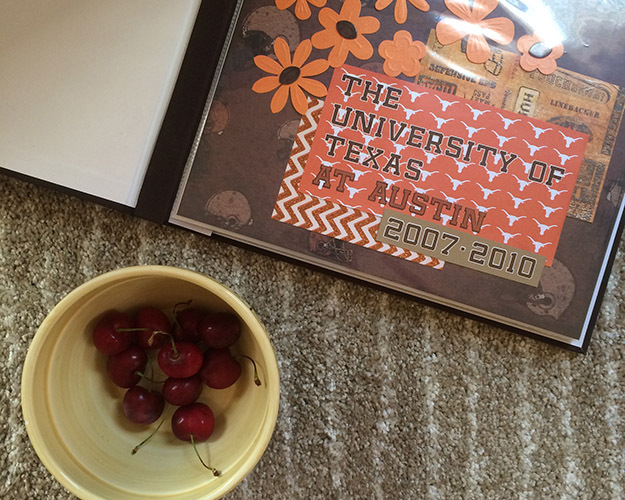 Fun and simple city prints, like this one of Austin. Sweet collection of infographic style prints, like a map of culinary tools. 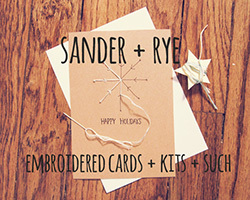 This entry was posted in Finds and tagged art, Christmas, Fab, gift, holiday, print, shopping on December 10, 2012 by Chelsea. I have a thing for maps recently. Maybe because I have the travel bug. But they really are beautiful, and make me appreciate that we are a small part of a big world. 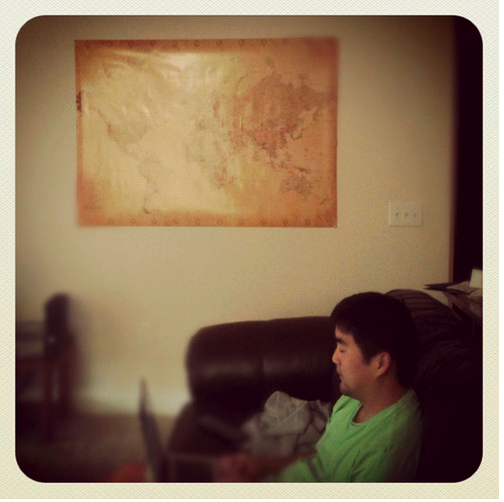 We finally decided to decorate our big wall, and hung a vintage style map right next to the tv. 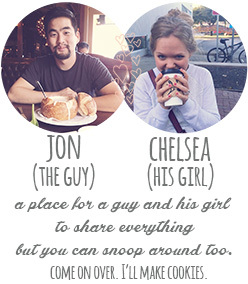 This entry was posted in Finds and tagged art, gift, home, map, print, travel, US, world on November 12, 2012 by Chelsea.